Fourth, your bed is going to be a claustrophobic morgue-drawer nightmare. The ceiling will be three feet above your head and that’s only if the mattress is of the same material they make diapers out of. If it is a proper mattress, your nose is probably going to be pressed against the top margins of your tiny house. Beds, actual human beds, are ******* huge. Perhaps extravagantly so, I dunno, but we have left the era where we could comfortably sleep on a pile of reeds on the hard rocky earth and now we sleep on giant mattress configurations that are basically as big as half of a tiny house. If you want to practice what it’s like sleeping in a tiny house, sleep in one of your drawers, or in the crawlspace under your existing normal-sized home. 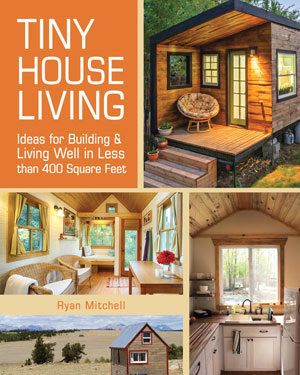 Both pieces are well worth a read if you are thinking going down the tiny house route. The... um... gentleman who criticizes the ceiling height in a sleeping loft obviously hasn't spent any time checking out the variety of options in loft designs. There are also many TH's with bedrooms on the main floor for people with disabilities or who dislike climbing ladders or stairs. It seems those who criticize TH's are more interested in having a McMansion. To each his own. I don't criticize those living with excessive space so I don't understand their need to speak ill of different lifestyle choices. And that's what the TH movement is about to ME, having a CHOICE.